There is no doubt, the trucking industry plays a vital role in every aspect of our daily lives. Both consumers and businesses of all sizes use trucks to deliver goods and services. From construction sites to product and material distributions, a heavy truck driver plays a key role in the logistics sectors. 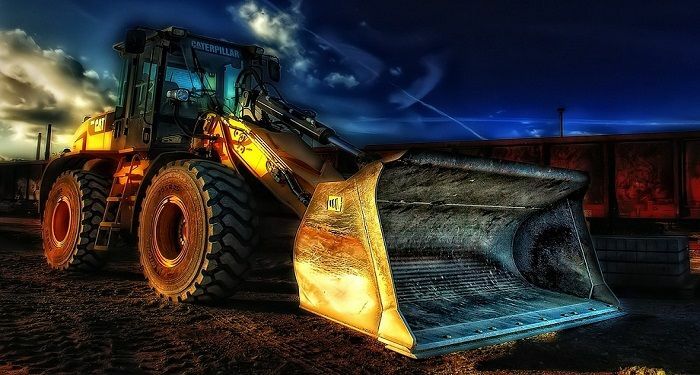 Dump trucks, pickups, forklifts, box trucks, cranes, tow trucks just to mention a few of them, we all need to use those types of heavy machinery at some point. However, like most field assignments, operating a truck can be a very dangerous job if not performed properly. That’s why being familiar with some heavy truck driving safety tips is vital. Due to the nature of the work, truck operators must know basic safety precautions in order to prevent accidents. Here are some simple but important truck operator safety tips to minimize risks. Not everyone can drive a truck. It’s well known that operating a truck is different from driving any other types of vehicles. Becoming a truck operator requires a higher level of skills, technical knowledge, and physical ability than driving normal vehicles. That is why getting a heavy vehicle license or a valid permit is must to be a truck operator. Actually, it is the first and one of the most important safety measures. Any truck operators must be trained, and certified to conduct heavy equipment machinery. Due to the huge damages, this type of vehicles can cause, only individuals with the right qualifications should operate trucks. Additionally, operating a forklift is not the same as operating a tipper truck. Each type of equipment needs a specific training and qualification. Plus truck drivers should have some basic knowledge of truck mechanic and maintenance skills. A typical truck can carry a wide range of heavy materials and sometimes in huge amounts. So it’s obvious that keeping the truck stable all the times is crucial. The larger the truck is, the higher the risk is. Operators should never attempt to overload a truck, as this may lead to an instability of the vehicle, therefore they should use securing measures such as ropes if necessary. Additionally, Knowing the capacity of the machine and never exceed this capacity is mandatory. Also ensuring that the tire pressure is steady, is vital to keep the stability of the truck. A safe truck driver would never overload a heavy machinery. As this could end up hurting them, others, and breaking the machine. So keeping the truck stable is very important when it comes to safety. Always make sure the load is stable and secure. Another important truck operator safety tips include wearing the right clothes. Some heavy equipment operations require specific protection equipment wear to ensure the safety of the operator in case of an accident. Usually, these safety work clothes include a hard hat, safety shoes, high visibility jackets, and gloves is some cases. The protection equipment clothing must be well fitted as any loose clothing can get caught on machinery. Also, operators should avoid holding any control systems when they have grease on their hands. It may cause them to slide off and cause an accident. Wearing the appropriate clothing is an important part of truck operator safety tips. Conducting regular checks before starting any trucks is a major part of safety tips. This basically means checking the electrical wires, the fuel, and the steering, warning devices and so on. Operators should conduct all the routine checks correctly. For example, if a tire need services then it can be reported immediately and shorten the time operators are down for repair. Any other problems must be fixed before operating the machine. Also, the heavy truck driver should pay careful attention to areas that have been repaired in the past. Failure to do this may cause serious damages. In fact, many drivers caused fatal accidents by neglecting this simple routine checking which is an essential part of the heavy truck driving safety tips. Always having this safety tip in mind can save many people’s lives. Finally, they should not forget to check the basic emergency equipment like fire extinguishers, first aid kit, and so on. A professional heavy truck driver should never drive beyond the recommended speed. He must observe all safety signs, take corners and any turns slowly to minimize the risk of incidents. He should make any changes in direction or any stops gradually and slowly. Whilst operating a heavy machine, truck operators must pay attention and follow any worksite rules and guidelines. They must only drive the equipment in the machinery’s designated roadways. Being aware of the height of the truckload when entering or exiting buildings is mandatory for any operators. Also, they must avoid operating on bridge plates unless that bridge can support the weight of the truck and load. Keep a safe distance from other vehicles just to ensure that there is enough space to stop safely. Operating a machine at a safe speed is one of the most important truck operator safety tips. The heavy truck driver needs to be responsible for their safety and operate in a way that is safe for others as well. Applying these 5 essential heavy truck driving safety tips will not only ensure the smooth running of the business but also the safety of fellow travelers on the road. An additional good way to keep drivers safe is to use fleet management software that tracks their performance in real time. Software that calculates the number of hours a driver has driven, speed violations, harsh braking and more. In case you need a construction equipment rental for your projects in Kenya with qualified and experienced operators, then get in touch with your logistics partner, Famio Services. Our friendly logistic experts are just waiting for your request and will be happy to assist you.